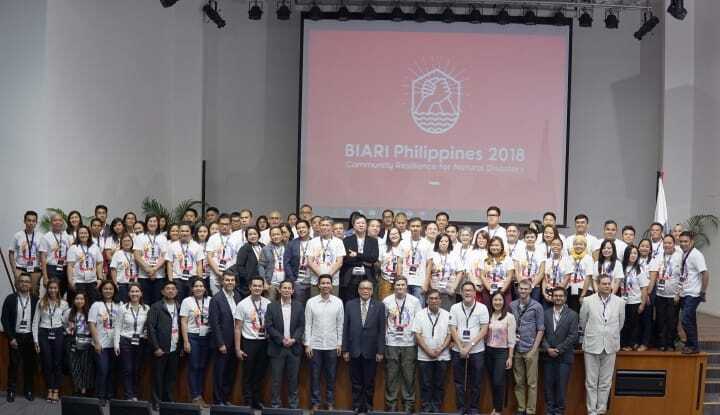 The first-ever international fellowship program on disaster resilience by theBrown International Advance Research Institute (BIARI) ended on a high note, through the efforts of the institute and its partners in the Philippines – the Philippine Disaster Resilience Foundation (PDRF) and Holy Angel University. With the theme “Community Resilience for Natural Disasters,” the week-long program brought together local and foreign practitioners of disaster risk reduction and management (DRRM) from various sectors. The program allowed participants to learn from a pool of expert lecturers on how communities can better prepare for and respond to natural disasters. It highlights the importance of grassroots perspective in bringing community participation and collaboration in disaster management. “PDRF is proud to be part of this historic conference hosted by world-renowned educational institutions. The link between academe, local governments, international groups, and the private sector brings together the theory and practice of disaster risk reduction in exciting ways that benefit us all,” said PDRF President Rene “Butch” Meily. Through the program, BIARI developed a cadre of local individuals in the Philippines and other Southeast Asian nations that can carry out and implement their new learnings – leading their community towards disaster resilience. The fellowship program was organized with the support of the Humanitarian Innovation Initiative, Ayala Corporation, Globe Telecom, British Embassy Manila, Jose Rizal University, Curiosity, University of Santo Tomas, and University of Nueva Caceres.